Arrival at the hotel, installation in the rooms, welcome around a welcome drink, presentation of the stay by the team and your guide, dinner and accommodation. Breakfast buffet. Departure for half a day in Manade. 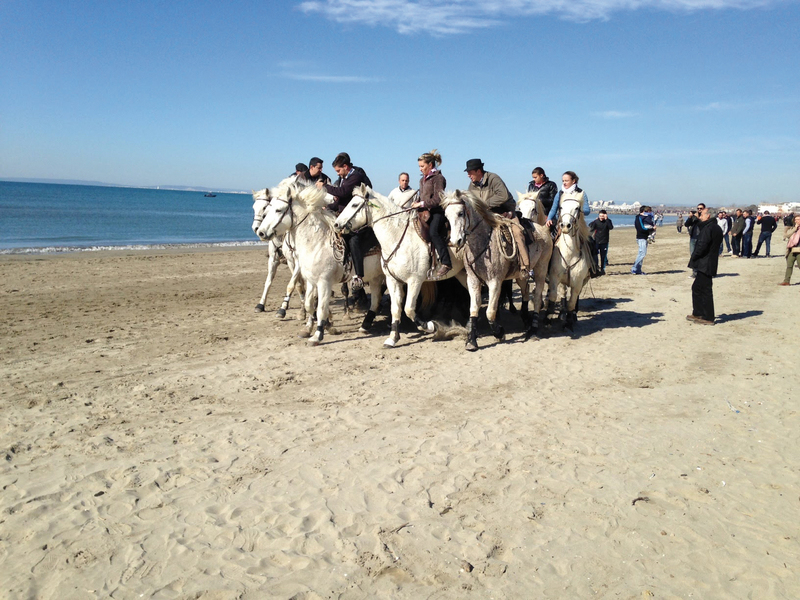 Welcome by the manadier, presentation of the manade by horse riders, explanation of customs and traditions. Visit in cart of taurine exploitation, games of gardians, aperitif in the courtyard of the farmhouse with local products. Regional lunch typically Camarguais in an old stone cellar. the relics of the Saintes. 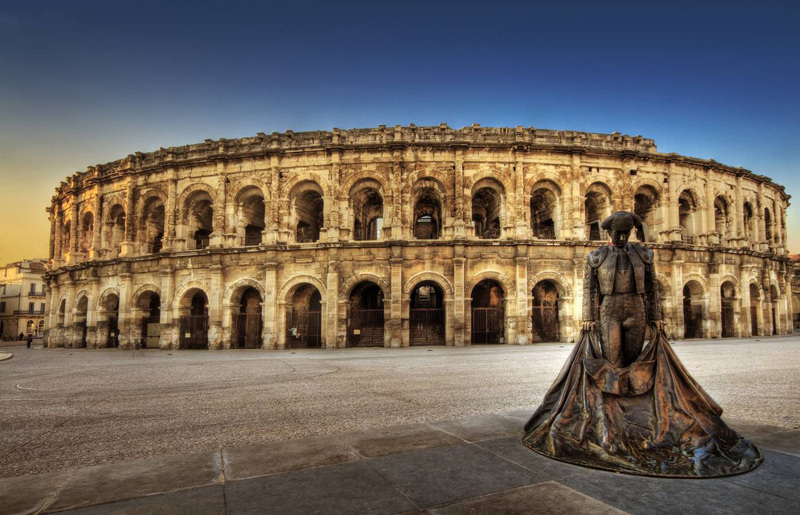 Departure for Nîmes, discovery of the city and visit of its Roman vestiges (Arènes and Maison Carrée), then direction Avignon. Visit of the Palace of the Popes, the largest Gothic palace in Europe, former residence of the pontiffs rulers in the 14th century and a few dance steps on the famous Pont d'Avignon classified as a UNESCO World Heritage Site. Breakfast buffet. Departure to discover the Historic Center of Montpellier. You will take the maze of medieval streets, let yourself be guided and discover Montpellier through the ages until today, between ancient and modern monuments, city of all generations "where the sun never sets." Lunch then visit Saint-Guilhem-le-Desert, ranked among the most beautiful villages of France and Grand Site. 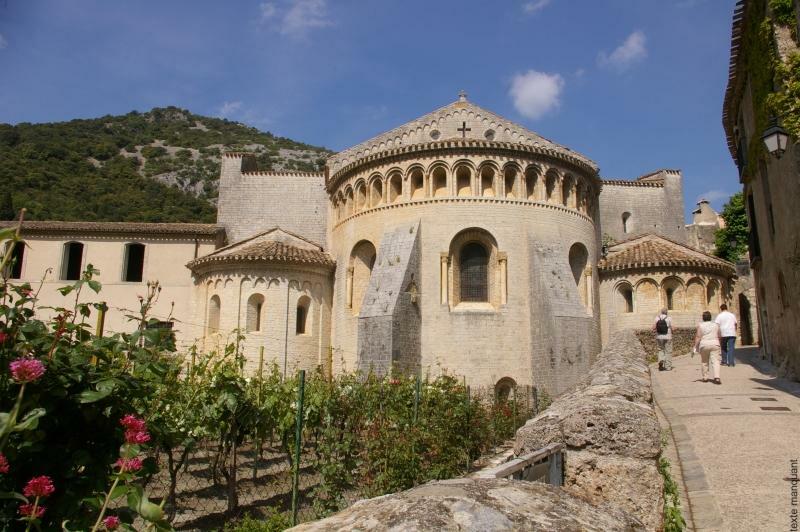 Medieval village on the banks of the Hérault Gorges whose abbey dating from 804 contains the relics of the Holy Cross. Very important step on the way to Santiago de Compostela. Regional Specialties dinner and night at your hotel. Breakfast buffet. Departure direction Sète, visit of the city of Brassens then arrived at Mas Conchylicole in Bouzigues. 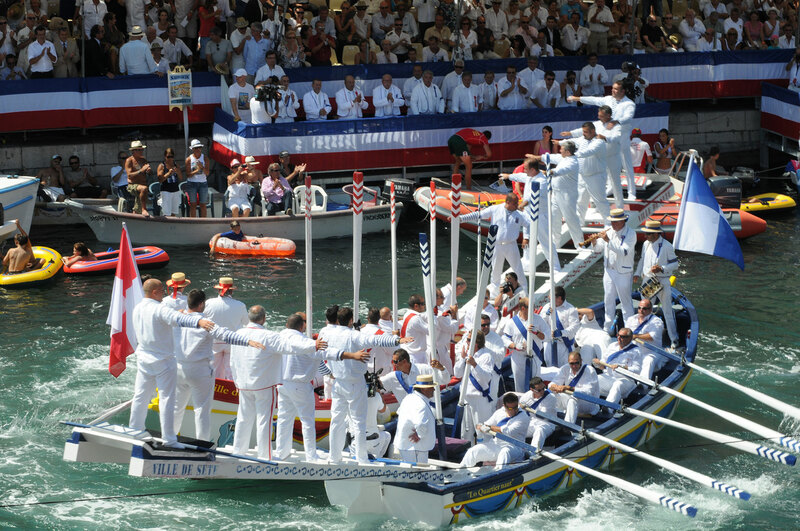 Welcome by the owner, discovery of gestures and work done around the shells of the Thau basin. Aperitif and lunch at the Mas. In the early afternoon boat trip on the pond Thau, the largest pond on the Languedoc coast. A commented tour of the oyster beds will enliven your ride with the waves through the breeding tables where, day after day, the shellfish farmers will hang the ropes of shells. On the return, stop to discover the manufacture of biscuits and regional delicacies and tasting. 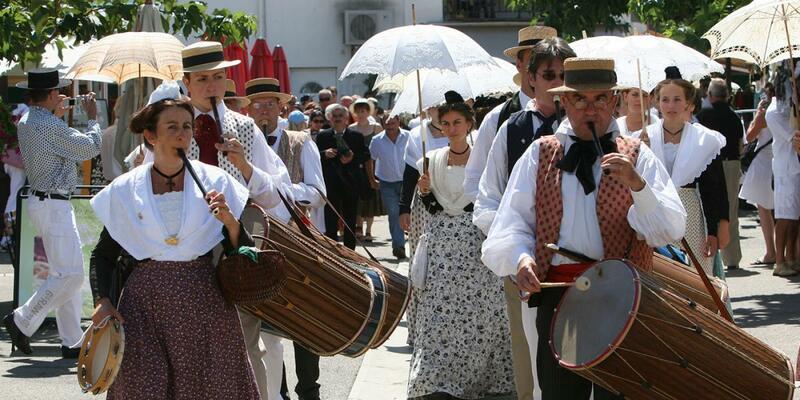 Departure for Aiguesmortes, morning devoted to the discovery of the Medieval City of King Saint-Louis. 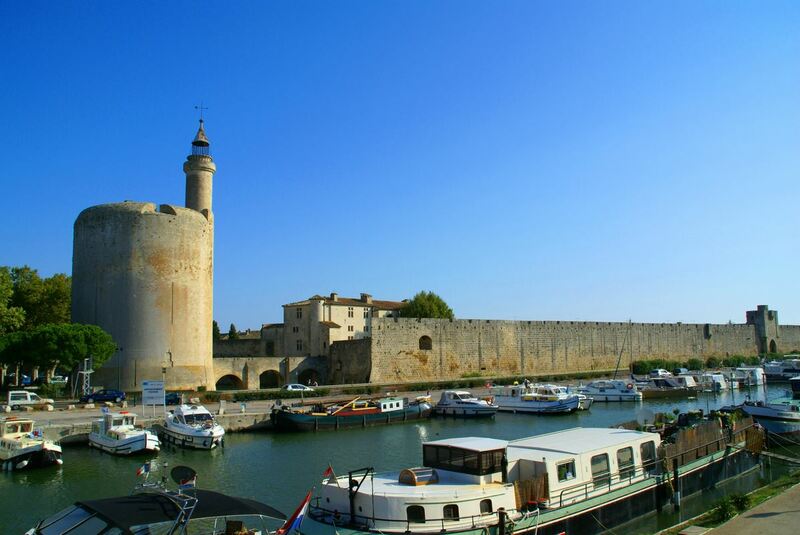 Visit of the 13th century ramparts and the Constance Tower. Lunch then free time to stroll through the alleys. In the afternoon, a small train ride to discover the Salins du Midi, unique and preserved wild site, one of the largest in Europe. To quench your thirst, sip wine tasting and return to the hotel by La Grande Motte and its Futurist Architecture. Free morning or departure to your area.